Lufkin, TX (January 4, 2018): Wynn Rosser, Ph.D., President and CEO of the T. L. L. Temple Foundation, is pleased to announce the addition of Dr. Sylvia Leal to the foundation’s team in the position of Senior Program Officer for Education and Economic Development. Dr. Leal joined the foundation on January 2. Dr. Leal arrives to the T.L.L. 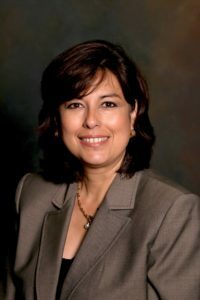 Temple Foundation following her tenure as Associate Vice President of Student Educational Outreach at the University of Texas Rio Grande Valley where she supervised various P-16 pre-college initiatives, federal grants, testing and other student support services. Previously, Dr. Leal served as Vice President for Enrollment Services at the University of Texas at Brownsville. She began her education career as a bilingual elementary teacher. She holds a Doctorate in Curriculum and Instruction from the University of Houston and has more than 30 years of educational experience. In her role at the foundation, Dr. Leal will continue her lifetime work to seek and develop innovative initiatives that support college access and success of first generation minority students combined with a focus on jobs and economic development. The T. L. L. Temple Foundation was established in 1962 by Georgie Temple Munz with an initial gift of 1,000 shares of Southern Pine Lumber Company stock worth $56,000. The foundation is named in memory and honor of her father, Thomas Lewis Latané Temple, who formed Southern Pine Lumber Company (later Temple Inland Inc.) in 1893. Since its founding, the T.L.L. Temple Foundation has invested more than $440 million, primarily to strengthen families and communities in Deep East Texas and to alleviate poverty, creating access and opportunities for all.